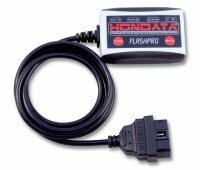 Hondata is pleased to announce the release of the FlashPro for the US 2006+ S2000 for $690. Available in early November the FlashPro enables NA and forced induction tuning using the factory Honda S2000 ECU. FlashPro allows full user tuning and datalogging of 06+ S2000. It includes Windows based software called FlashProManager. FlashPro connects from your laptop's USB port to your vehicles diagnostic port to provide 90 second programming with a variety of calibrations with extensive real time and stored datalogging capabilities. Important: Make sure that you order the correct FlashPro, and that FlashPro will work with your ECU. We recommend that your check your ECU is compatible by checking your ECU part number below. Dynotuning is by appointment only. Readiness codes and smog check status.